Pete has been involved in developing men for more than 30 years, helping guys come to understand who they are in Christ as redeemed and beloved sons of the Most High God, and how the Father is willing to invest Himself in developing them every day of their lives. Pete is committed to building great men as God defines greatness and to leave no man behind on the battlefield of life. He loves to teach how God’s grace energizes men to grow into real manhood. 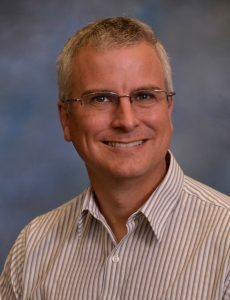 A Californian, Pete has served churches in California, Illinois, Connecticut, and Florida. 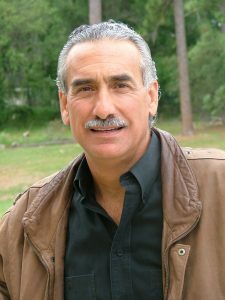 He founded a PCA church in Winter Springs, Florida, where he served for 26 years as Senior Pastor. He is a graduate of Biola University with a degree in Communications, Trinity Evangelical Divinity School (M.Div), and Reformed Theological Seminary (D. Min) in Oviedo, Florida. 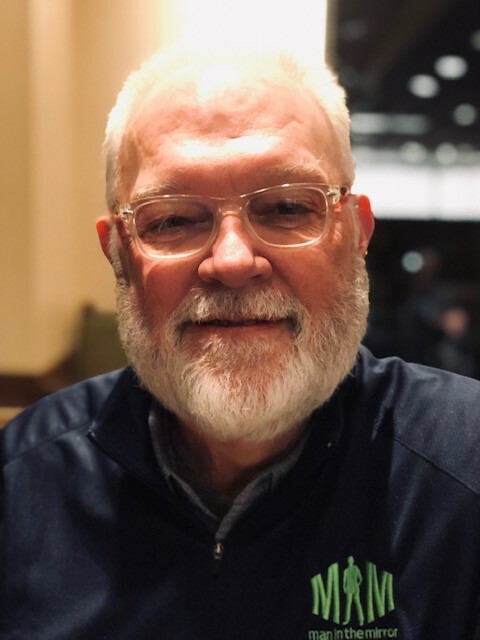 Pete was one of the first speakers on the Man in the Mirror faculty and now is Pastor Emeritus and Executive Director of FORGE: City Wide Ministry to Men with Man in the Mirror. He has taught Communications and Theology of Ministry at Reformed Theological Seminary. He is on the board of Key Life Network, the Bible teaching ministry of Dr. Steve Brown, and can be heard weekly on the Questions and Answer segment with Steve each Friday. His first book was recently published by New Growth Press, Like Father, Like Son: How Knowing God As Father Changes Men. Family is Pete’s claim to fame. Married to Caron for 35+ years, they have three children — Joel (and beloved daughter-in-law Aly with grandchildren Maggie, Molly, and Wyatt), Jon (and beloved daughter-in-law Sandra with grandchildren Ansley and Easton), and daughter Jessie. He knows he “married up” and loves to speak to men about his successes as well as his failures as a husband and dad. Pete’s style combines openness, humor, great stories, and strong Bible teaching as he easily connects with men. Pete’s hobbies are working out; hiking 14ers in Colorado; and duck, turkey, and gator hunting. 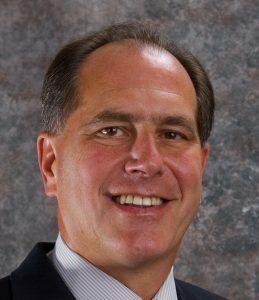 Brett joined Man in the Mirror in 2000 and currently serves as President. His passion is to make the church relevant to younger men and men on the fringe. He breaks through the resistance that many men feel towards spiritual topics with his use of personal stories and humor. Brett’s role at Man in the Mirror includes providing leadership to the ministry, speaking at men’s events, training leaders, writing, and more. He is the co-author with Patrick Morley and David Delk of No Man Left Behind: How to Build and Sustain a Thriving Disciple-Making Ministry for Every Man in Your Church, and various articles and discipleship materials offered by the ministry. Brett’s career prior to Man in the Mirror includes the nonprofit and business sectors. Among other pursuits, he has run a juvenile detention shelter and a 700-bed homeless program, as well as the startup of a software company. Brett and his wife Kimberly live in Casselberry, Florida. They have been married since 1991 and have two adult children, Cassidy and Jackson. His interests include dates with his wife, coaching rock climbing, and home improvement projects. David has a passion for helping people remember vital truths from God’s Word. His use of humor, illustrations and unique visual aids help men apply biblical principles to life. David serves on the board of Man in the Mirror, after having previously been in the role of President for 22 years. He is the author or co-author of five books, including The Marriage Prayer, The Dad in the Mirror, and No Man Left Behind. He has also had articles published in numerous magazines. 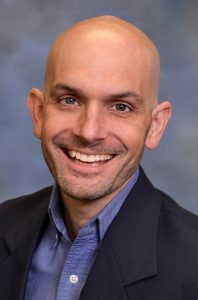 David has also served as President of the National Coalition of Ministries to Men and as a visiting lecturer in Biblical Studies at Reformed Theological Seminary. He graduated with a degree in Mathematics from Furman University. He was selected to be a member of Phi Beta Kappa and went on to earn his Master of Divinity degree from Reformed Theological Seminary in Orlando, Florida. As of the fall of 2016, he currently serves as Executive Pastor at Grace Church in Greenville, South Carolina. He lives in the Greenville area with his wife, Ruthie. They have three adult children. Ray is the Co-Founder and former CEO of Truth at Work. 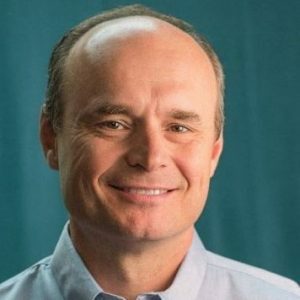 In his current role, he facilitates several Round Table Groups for business leaders, develops new curriculum, hosts Truth at Work’s “Bottom Line Faith” podcast series, and is writing two new books. Ray is also a highly-sought after speaker at churches and retreats across America, where for years he has challenged followers of Christ to integrate their faith in and through the marketplace on a daily basis. As part of the speaking faculty for Man in the Mirror ministry, he conducts events and retreats across the country. Along with his close friend Todd Hopkins, Ray has co-authored a novel titled The Janitor: How an Unexpected Friendship Transformed a CEO and His Company. The book features the story of a young CEO mentored by a godly janitor who teaches the struggling young business executive the true definition of success in business. It is an international bestseller in South Korea, with over 1.2 million copies sold, and it hit U.S. shelves in July 2007 through Thomas Nelson publishers. In addition to his business pursuits — consulting with corporations on sales and marketing — he has enjoyed several ministry pursuits. Ray served as a Regional Director for Promise Keepers, and he co-founded an inner-city church and food pantry. Ray is a graduate of Anderson University in Anderson, Indiana, where he majored in Marketing and Business. While there, he played baseball for the 1986 traveling Athletes-In-Action team. He currently enjoys golf and spending time with his family. Ray and his wife, Beth, reside in Indianapolis with their son and two daughters. Hank has a unique ability to motivate men through his enthusiastic and humorous style. His passion is to reach men and challenge them to find the way to a place of honesty with themselves, with God, and with a group of trusted Christian men. Hank graduated from Auburn University with a degree in finance. After working for several years as a bank examiner, Hank joined Campus Crusade for Christ International (CRU) in 1983. He has served in various capacities including directing ministries at the University of Texas, Baylor University and the University of Tennessee. He also worked as a trainer for The Communication Center, an organization established to train leaders in accurate, relevant, and creative Christian communication. He is currently Regional Coordinator for Men’s Outreach and Leadership Development at Campus Crusade. He has spoken to audiences of more than 50,000 students on 40 major college campuses. Hank is a sports enthusiast; he loves football and basketball and especially enjoys coaching his sons’ athletic teams. He looks forward to quiet dates with his wife. Hank lives in Knoxville, Tennessee, with his wife Chrissy and their sons, Blake and Brett. Ronn’s passion is spiritual development—of men specifically—and his favorite place to discuss it is on the golf course. His goal is to challenge every believer to develop a biblical worldview so that we might reveal the reality of Christ in all we do. Ronn grew up in Kansas but has lived from coast to coast. He attended John Brown University on a baseball scholarship before transferring to Kansas State University, where he accepted Christ through Campus Crusade ministries (now CRU). He met and married Janie at this same time, and they moved to Virginia, where Ronn played baseball and graduated from Liberty University. He coached baseball at Liberty while finishing his Master of Divinity work at Liberty Theological Seminary. They moved to Quincy, Illinois, where they started a church, and Ronn completed his Doctoral work in Family and Marriage Counseling. Ronn has served as Senior Pastor in Quincy, Milwaukee, Tacoma, and Lake Zurich, as well as Executive Pastor of Spiritual Development at Yosemite Church in Merced, California. In 2012, Ronn felt the call to became one of Man in the Mirror’s first Area Directors, becoming the Chicagoland Area Director to help support churches in men’s discipleship. Since July of 2015, he has also served as Regional Field Director, helping other Area Directors be effective. Then in 2018, he became the National Field Staff Chaplain. Ronn and Janie have five children: Terra (daughters Kealey, Karissa, Kaylen, and Kendall); Josh and wife Becca (daughters Evah, Asher, and Adi, and son Joshua); Daniel and wife Lindsy (sons Liam and Ronan); Noelle and husband Nate (son Aidan and twins Elijah and Leah); and Benjamin and wife Sarah (sons Bear and Josiah and daughters Elliotte and Elisabeth). (If you lost count, that’s 17 grandkids!) They also have a lab named Max, a Scotty named Maggie, and a cat… and do cat’s names really matter? Ronn spends his spare time running (two marathons and 15 half marathons as of 2018), hiking, and writing. He is the author of two books: Church—The Only Army That Shoots Its Wounded and Blood Reflection. Dave is a respected and sought-after speaker, motivator, and teacher. He has been mentoring and discipling men for more than 28 years and has led 60 small groups, directly impacting thousands of people. He also founded and previously directed the men’s ministry at Bayside Church in Granite Bay, California. 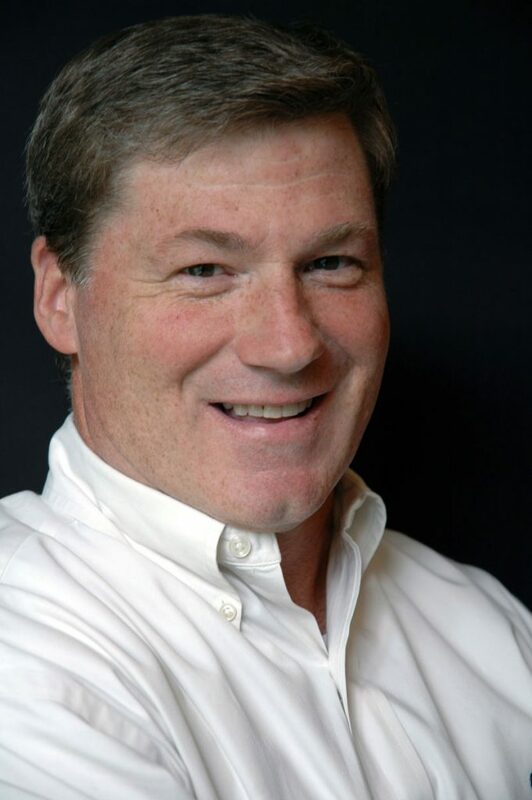 Dave’s business background spans 37 years serving Hewlett-Packard in middle-management marketing roles, and he currently consults with clients, helping them maximize marketing effectiveness and revenue generation. He is a graduate of The Ohio State University (MS) and Brooklyn College of the City University of New York (BS). Happily married to Rose for more than 35 years, he currently resides in Roseville, California. They have three adult sons — Paul, Rick, and Michael — who are walking faithfully with the Lord.